Now that it is September, fall is officially around the corner! 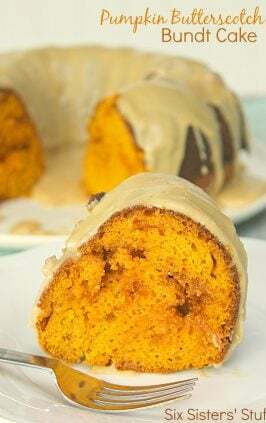 I love everything about the fall, especially all things “pumpkin.” In honor of the upcoming season, we whipped up some of these Pumpkin Chocolate Chip Brownies and boy were they good! Preheat oven to 350?F. Line an 11?- x 7?-inch pan with parchment paper. In a large bowl, combine pumpkin puree, eggs and oil until smooth. In a separate medium bowl, mix together the flour, baking powder, cocoa powder, spices, salt and brown sugar. Add to the wet ingredients and mix until thoroughly incorporated. Bake for 15 ? 20 minutes or until passes toothpick test. Cool completely before cutting. Yum that looks so good. Pinned it to try later! thanks for sharing, i definitely needs new recipes to try. Oh how I love all things pumpkin!!! Hooray for fall!!! Another winner sisters!!! Thank you for sharing this recipe. I am so happy fall is around the corner! I will be back for the party this weekend sweet friends! Yumalicious ladies! There is some nutritional value you of course...isn't there...oh well who cares! I am making some of these tomorrow!!!!! Thankz! I just LOVE pumpkin and chocolate together. This is a must try! Oh my thank you for sharing, you ladies always have my chocolate fix. I love Fall and pumpkin anything too. I must try these. Hugs from Bacon Time. 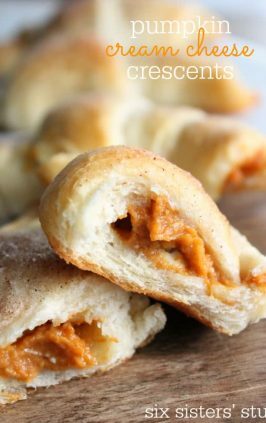 Oh yum, these look divine and I will be trying them! Thanks for sharing! These look wonderful! We'd love for you to stop over and share them (and anything else) at Seasonal Inspiration Saturday! love this! looks yummy!! I adore Fall and anything pumpkin! Mine turned out the same way. Not brownie consistency at all. 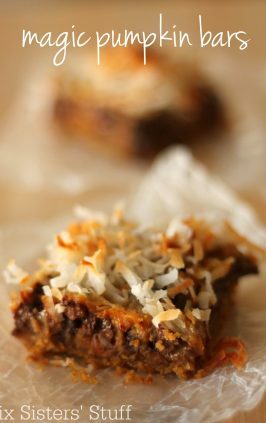 They were like pumpkin bread bars. Not sure what I did wrong. 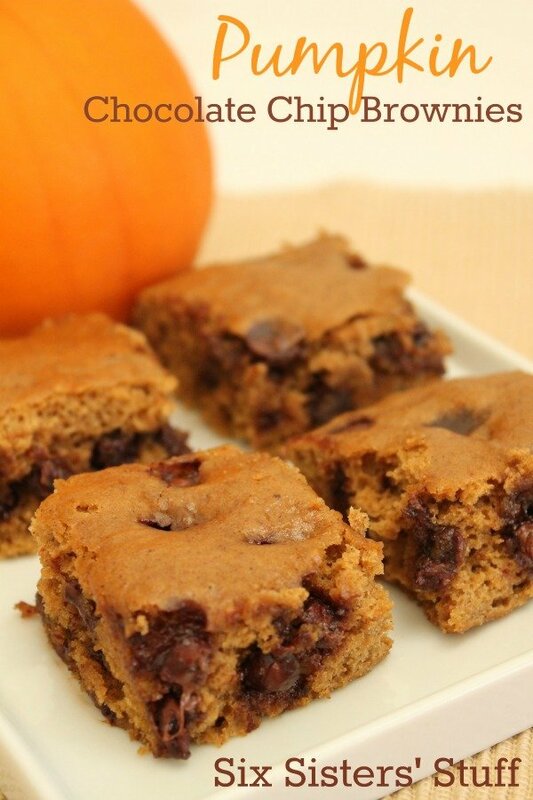 These Pumpkin Chocolate Chip Brownies aren't quite as dense as regular brownies. They are lighter and fluffier. Family loved these! After I made them, I realized I forgot to add the unsweetened cocoa powder. I looked at the recipe and it wasn't in the instructions. Do I add it with the rest of the ingredients? Sorry about that. We fixed the recipe. You add it with the other dry ingredients.